Snowflake was tired of being lonely, she didn't have any friends, mainly because most dragons thought she was strange or weird because of her imaginary friend Frosty. Frosty was an imaginary friend, created to keep her company when her parents died, she thought he was real, but nobody could see him, due to him being imaginary. Other then her imaginary friend, Snowflake had nobody to keep her company and she always played in the snow with Frosty, but everyone else saw her playing with nothing. She decided to go beyond the snow and into a forest where she could possibly have more of a variety of dragons to become friends with and accept who she is. She left her icy cave and went down to the path she usually took, but this time, going farther, leaving the Icewing territory. The fluffy ice dragoness left the snowy area and arrived at a meadow, where she started to get scared as she walked through the nice meadow surrounded by flowers. But as she got scared, she became talking to Frosty and got a bit more happier, but if someone else saw her, she would be talking to nothing. Sicarius glared at the Firewing, the only part of him moving was his head, and his sickle claw tapping on the ground. He decided to speak, with a surprisingly non threatening voice. "I heard talk of a race, so I thought I'd come to watch. Nothing else...."
As much as his voice sounded semi friendly, his movements said otherwise. Sicarius didn't look friendly at all, not in the slightest, ever. Very obviously, Sicarius was in his 'don't care about anything' mood. The Firewing started circling him, so he followed with his head, his eyes not leaving the 'target'. He heard the fire, and his eyes slowly moved up to look at the source, but his head stayed staring eerily at the Dragon. "Is there a.... Problem with me being here? Would you rather I left?" His claw kept tapping on the ground, keeping a rythmic beat every time it hit. Staring at the Dragon, watching it's movements. Snowflake heard the Earthwing's words and smiled only slightly as the Firewing allowed it. She did love games and even though she knew she'd lose, she still wanted to have fun. "Frosty... Is that ok?" she said as she looked to her right, where nothing stood and soon replied. "Ok... Frosty allowed it, I'll do it." she said in a much happier tone. Soon she saw the rogue that Firewing noticed earlier going up to them, he said that he wanted to watch, but she still was slightly unsure about the rogue. She didn't want to say anything, just in case the Firewing didn't like what she said, so she staid silent. A pure white dragon lurched in the trees, spotted with shadows falling on him from above. He peered through grass, crouched, intently observing the flames, reading the name written. "How clever," he thought. He smiled and thought it such a creative idea he better have a go himself. He poised his foreye at some grass nearby the flames and his eye then began charging with rays of lightning pulsing, though no on saw. From behind the trees a bright whitish indigo flash surged for a breif moment and a bolt arced out from the light and struck the earth. It carved the letters "SC," leaving a dark impression covered by a thin layer of frost. "Eh, not quite as good," he thought. Her eyes narrowed as she gave a light huff, flicking her tail before flying off to the IceWing territory. It had been a long time ever since she left and now she wanted to return and see if it was still the same as it had been when she left. However, if there was nothing new there, perhaps she would return back here. Aviur brought his head back slightly in surprise when the wyvern spoke in a tone opposite of his body language. Light and friendly. He was probably trying to decieve them though. Glaring at him with bright yellow eyes, Aviur's stance didn't change as he started with blunt aggression at the wyvern. He didn't trust this wyvern. He knew for a fact not all wyverns were like this, but this was his first time being in the same space as one of them, and he didn't trust this one. At all. In the slightest. Whatever you'd like to say, he didn't trust her. "If you'd stop standing there and staring at us like you're going to eat us, sure thing, you're welcome to watch." Hearing SnowFlake speak, Aviur looked over his shoulder and raised a brow when he saw her talking to thin air. Rolling his eyes in confusion and irritance, he looked at the wyvern again. Turning towards the group, he gazed with caution and suspicion at the wyvern as he walked back over to them, not taking his eyes off the wyvern for a second as he spoke to the Earthwing. "Might wanna line up now." Sicarius, being Sicarius, had an idea when the Firewing said that. A sly grin appeared on his face, edging to one side and turning into a devious smirk. "Well, now I'm sitting down and staring at you like I'm going to eat you, is that what you meant?" He couldn't resist himself, he simply had to say some smart remark, it was in his nature. Although this didn't really help him seem friendly, that wasn't his intention. In fact, he hardly believed it possible for him to seem friendly, besides not killing them. Real good friend right here. 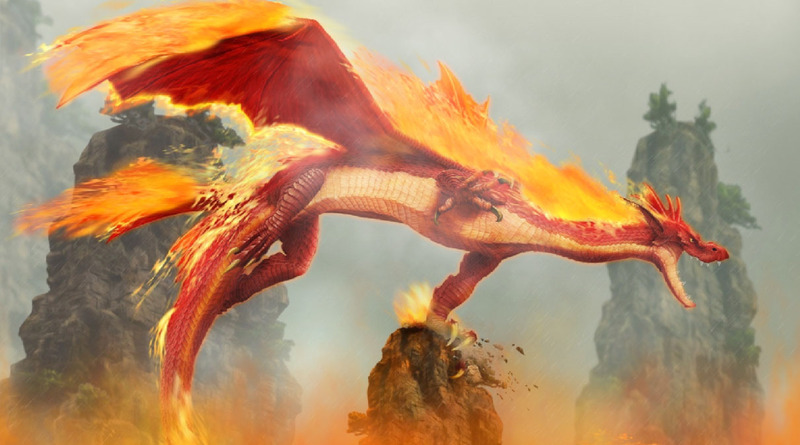 Sicarius folded his wings up close to his body, narrowing his eyes as he glared at the Firewing more. Quite obviously, this Dragon didn't trust him. But who really would though? Nothing about Sicarius says 'I'm not going to rip out your throat. ', So trust is a difficult prospect he tends to stay away from. He didn't shift, didn't move, didn't even blink. His gaze was fixed on the Dragon, no one or no thing else. Shivering, Alphonse watched the strange wyvern as it continued to stare at them. He didn't like that stare. It reminded him of some of the chimera they had fought back in their universe. And of course that didn't bring back any positive memories. He tried to shake his head, ridding himself of these thoughts. Well, worst come to worst, they had three dragons, against one, so they should be able to handle themselves. But he wasn't going to judge a book by its cover. The wyvern spoke in a somewhat friendly tone, so maybe he wasn't all that bad. Nonetheless, Alphonse was still growing nervous. He needed to hide Ed somewhere before they started the race. So when the fire dragon told him to line up, he thought that then would be as good a time as any to quickly dash into the woods, set the human down, then come back. As the fire dragon spoke, he saw a sudden splash of blue fire in the sky, before it quickly died down. He blinked, craning his neck to get a better view. He could have sworn he saw scales. But it could have just been his imagination. He also could have sworn he saw a faint light coming from the trees. But he shook his head, sighing. He was just nervous. He glanced over at the dragoness who's name he still didn't know, and smiled, mostly to reassure himself. She smiled back, and turned to talk to a dragon that wasn't there. Or at least something. Maybe it was some kind of animal. Whatever it was, Al shrugged it off, for he was too focused on the wyvern. Then the wyvern sat down, smirked, and exclaimed something that would no doubt make Ed nervous. Al's eyes widened, and he growled a bit. The tone sounded condescending and a bit sarcastic, but nonetheless. Al took a step back, looked over at Snowflake and Aviur, and decided now would be the best time to hide Ed, before that thing had a chance to get any closer to them. "UUh.... yeah, hold on a sec, there's something I have to do before we start," and before they could argue, Al quickly dashed into the woods, his golden mane billowing in the wind. Snowflake smiled slightly when nobody criticized Frosty, usually when she talks to him, Dragons start asking what she was talking to and soon called her weird and other names, even know Snowflake knew that Frosty was there, but he wasn't to others. She heard the Firewing allow the rogue to watch and smiled, she liked more dragons coming in to have fun with her or at least watch her. Soon, she got a bit scared when the rogue said that he was staring at her and the others like he wanted to eat them. She didn't say anything as she was too scared too, as well as confused on what the Earthwing had to do. As Aviur watched the earthwing dash off mysteriously, the wyvern crossed the line. Turning towards him with such speed and force it surprised even himself, Aviur stomped over to the wyvern, stopping about thirty feet away from him. His teeth were bared, his wings stretched slightly and his legs bent a few inches. A fight stance. "Shut your mouth, smartjaw," he snarled, beginning to lose what little temper he ahd in the beginning with this wyvern. "If you're just going to sit, stand, lay or whatever there and stare creepily, you can leave to go bother somebody else. So either go away, or shut your mouth and stop making smart comments." He locked eyes with him, yellow eyes boring into his with a fiery intensity that only came about when he was close to going demented. Nononononooooo, he thought. I can't lose it! I can't! Twitching, Aviur didn't advert his gaze, showing he wasn't going to back down from this verbal debate. If he wanted a fight, Aviur would bring it to him and rain fire on his sorry backside. He now knew a better way to test their skills. See how long they last after he drives their skull into the ground and rips them to pieces. Yes yes!! What was a better way to protect his food than to rip off their jaws and watch them bleed to death. Ah yes he could see it now. Soon this grassy meadow would be stained with blood. He could hardly see these pathetic creatures worthy of an opponent like him. He had to stop being cocky. They could beat him. Still stalking slowly towards him, he began with the threats. "Little tiny Dragon, only young, so fragile, so easy to break." Sicarius's 'friendly' tone went down the drain with the word 'break'. His voice was light, with a medium tone, and could be described s straight up god damned terrifying. Still advancing slowly and menacingly, he began speaking again. "Which way do you prefer to die? Perhaps you like the good 'ol neck snap? Maybe you like being strangled? Perhaps I should see how far I can drive my Sickle claw through your windpipe? Or, my personal favourite, ripping out your stupid little throat so you can't make another god damned sound. Oh! I know! We can play a game!! I'll tear off all of your weak little heads, and we'll see who lasts the longest! Sound fun!!??" Sicarius stopped about 5 ft away from the Dragon. He lifted up his foot, and it looked like he was just going to flat out crush him, but instead, he slammed it down, grazing the Firewing's nose with his Sickle claw. Sicarius swiftly bent his neck into an S shape, before lunging forward, stopping a few inches from the Dragon's snout, and let out a blood curtling, absolutely friggin terrifying screech, spattering saliva all over the Firewings pathetic little face. Aviur waited for a response. His eyes slowly widened as the wyvern started twitching his eyelid, and his sickle claw started tapping out of rhythm. Okay, it was obvious. This wyvern was crazy. Slowly taking a small step back, Aviur faced him head on, not breaking eye contact. This wasn't like the battle with the humans where he had his firewings by his side. No. He had to face this on his own. As the wyvern spoke and started stalking towards them, Aviur realised just how much danger he'd put the others in. "Snowflake, run," he commanded the ice dragon behind him. "R-run, and whatever the hell you do, don't look back." he was really scared. You could see it in his eyes. He wanted to run. He wanted to run so bad and leave Snowflake to her possible fate. But no. Aviur wasn't a coward. He never had been. Sure he was rebellious and hot headed and sometimes very stupid. But.. He wasn't fearful. He was fearless. As the wyvern started threatening him, Aviur didn't back down. He stopped moving backwards. How was he supposed to deal with this? He knew the mad dragon was trying to get into his head, weaken his confidence. The last thing he needed was low confidence. But Aviur was arrogant and hot headed. He was used to having his self esteem poked at. Glowering at the wyvern, Aviur stopped shaking and faced this thing head on. He watched, hypnotised, as the wyvern started ranting, listing all the horrible ways Aviur could die by his claws and teeth. Yep. He was crazy. Ignoring his terror, Aviur found his strength again. He suddenly found himself smirking with the madness of it all, and then he made his move. Moving extremely fast, he openeed his jaws and blasted fire directly at the wyvern's open mouth, aiming to go directly up into his throat and possibly destory his voicebox, if he was lucky. Or, at least, horribly burn his mouth and scorch his teeth, causing immense pain at least. He knew once he recovered though, if at all, he'd be very angry. Still though, he used his firepower and put it into the onslaught of flames that shot from his mouth and directly at the wyverns, as a single thought entered his head. Sicarius snapped his mouth shut, a decent amount of fire burning the inside of his mouth to a pretty bad degree. He was flat out furious. He shook his head, smoke billowing out from the gaps in his teeth. Yep, he'd lost it. Sicarius had completely freaking lost it. There was no sanity or self control left in this Wyvern. Just pure and utter insanity. Sicarius opened his eyes, throwing his head back up and laughing like a maniac. Aviur knew this maniac was horsecrapping him. How could he not? It was blatantly obvious he was completely mad! Then he rememebred the insultd the wyvern had thrown at him. "Well good! Seems like Daddy taught you a lesson then!" Aviur smirked, backing away a step and turning to the side a small bit. The excitement was getting to him. His head felt light and his brain was buzzing with slightly blood-thirsty thoughts. "Come on then, sonny! Come to papa!" he sang, suddenly enjoying himself tremendously as he stepped forward, showing he ahd no fear anymore unless he got a scare. "Whats wrong? Baby got a booboo? Well how about I slap it out of you?!" pouncing at the wyvern, he unsheathed his flaming claws, aiming to bring his claw down over his eye if possible. Sicarius sidestepped, and lifted his leg up, raking it down the Dragon's side. "My.... My.... Soo ferocious.... Why must we be so violent? Just imagine what I could do to you.... What would happen if I pinned you down? With an attack as predictable as that, you could easily lose this fight. Hey, I bet that scratch hurt didn't it? You wanna know what hurts more?" Sicarius charged up his beam, the deafening sound of it flying out of his scorched mouth errupting as it fired. If it hit, it would burn off a layer of scales, revealing sensitive flesh below. The beam was surely a surprise, or at least Sicarius thought it was. He swiftly made an attempt to scratch the now open wound. Surely that would make him scared. He must fear death. Sicarius started laughing like a maniac again. He was sure he'd won this already. Any moment now the little weak Dragon would go scurrying off to hide. Soulcry's keen alertness perked at the sound of a roar, birds fluttered in groups from the trees, quickly causing him from crouching to upstraight. It seemed so peaceful from afar, now he knew there was trouble happening. The tone sounded aggrivated. So he lept out of the trees and courageously shouted "Whats going on over there?" Snowflake continued watching both the Firewing and the rogue, hoping that no extreme fight would break out and later on, she saw that's exactly what happened. Her eyes widened as the 2 started fighting, she backed up only slightly as the Firewing told her to run, she didn't want to leave, she came out to make friends and she wasn't gonna leave until that happened. She continued watching the 2, not wanting to get involved and was very scared. Soulcry shouted at the dragons from a distance, "hey!" He bolted forward once more and scurried accross the meadow towards the dragons. "Hey!" He shouted, repeatedly, "whats going on?!" He continued. The wyvern sidestepped, and Aviur was suddenly directly beside him. A hot pain exploded in his side and Aviur leapt to the side, hissing as he glanced at his flank. The state of it.. He had left three big marks, the scales that had once been there now peeled away, exposing the flesh. He heard his enemy's words and shut his eyes for just a moment, reorientating himself. When he opened them, he heard something charging up. Move, he told himself. MOVE! 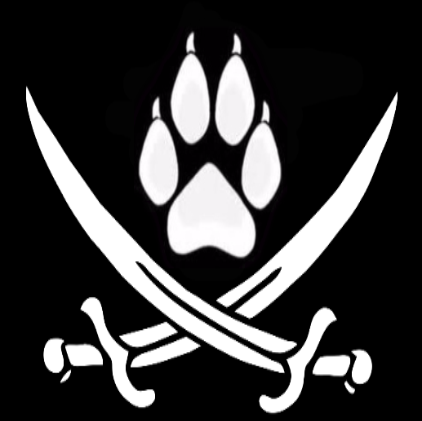 Leaping to the side, Aviur was thrown off course by the beam that missed him by a whisker, exploding on the ground directly beside him and sending him toppling to his front. Falling onto his side, Aviur panted and tried to get up, but he found himself open to attack, and something scratched his injured side, causing him to hiss loudly and clench the ground. He heard someone shouting.. Someone shouting a question.. He could barely hear it. All sounds were muffled, just a faint echoed 'hum' in his ears. Raising his head, Aviur growled in pain as his head complained, his ears ringing from his brain wondering what the hell to do. He wouldn't run.. He was too stubborn. Aviur stood up, shaking his head and growling, resembling an angered bull as he turned towards the wyvern. Stretching his wings, he snarled at the wyvern, before speaking. "That the best you can do? Come at me, you son of a-"
The last word was muffled, but he was sure the wyvern knew what he said, as Aviur unleashed a blast of flames in his direction, aimed at his body. Instead of your usual flames though, he was unleashing small 'clutches' or 'balls' of fire. They weren't fireballs exactly, but they were close. He was stopping the flames every few seconds, before blasting again, creating a rhythm. Shooting them at the wyvern, Aviur released a roar that was more eerie then purely terrifying. Wherever the wyvern went, he fired, knowing that the makeshift 'fireballs' would pack quite a bit of heat, possibly enough to bring him to a stop. Suddenly, as he blasted the last fireball, Aviur started breathing fire normally again, this time on the ground. Twisting around, he breathed a tight circle of fire around himself, before raising his wings, which raised the fire by a metre with a lot of effort. Standing in the flames, Aviur felt the heat as they licked at his skin. He had to try regain his strength. How though? No.. No he couldn't. It was too dangerous. He should.. It would help him win. As he debated this, Aviur placed a claw on the burning ground, digging it into the soil asthe flames flickered and danced around him. The claw started glowing, and Aviur gulped. He'd barely ever used this form.. Not even in the battle against the humans. Should he? He knew hesitating meant death, but he hoped the flames would keep the wyvern away. Sicarius lifted his body up, spreading his wings and pushing himself backwards with a powerful gust of wind and a hop. He hissed as one of the fireballs singed his underbelly. Sicarius shook his head. Some form of intense rage had come over him, he'd completely lost it again. Sicarius rapidly twisted and turned his body, dodging the fireballs by a few inches, grimacing as they singed him gently all over. At the same time he intensely studied his opponent. He shook his head again. He may not kill this Dragon, but he was going to make it very clear not to ever make Sicarius mad, ever again. Sicarius stumbled a bit. He wasn't feeling too well any more.... He'd used a substantial amount of his energy for a beam that didn't even do anything, and he had been singed gently all over. His muscles felt rusty, his joints felt clunky and unresponsive, just from that. Sicarius grinned, and tensed up. The perfect plan had formed in his head. He'd have to be ready, what ever this ability would do to him, he sure wasn't going to let it happen. With no sign of prey to be found in the snowy mountains Frost left the IceWing territory, slightly frustrated that her hunt ended in disappointment. Now she was heading back to her previous spot to see if the dragons and wyvern had done anything interesting while she was gone. Fortunately they did not disappoint her. The FireWing and Wyvern seemed to be locked in a fight, what the fight was about she could only imagine. The EarthWing was nowhere to be seen, the white dragon looked like it was going to intervene in the fight, and the IceWing stood by watching the fight. It would have been an enjoyable fight to watch, but seeing the IceWing and the white dragon so close to danger did not sit well with Frost. "Such decisions to make." she muttered, thinking over the many scenarios running through her mind. There were only two choices, watch and do nothing, or protect the two remaining dragons from the fight. Right now she did not feel like having the death of two dragons on her conscience. So without further hesitation Frost descended from the clouds, a pillar of blue fire erupting from her jaws aimed at the wyvern in hopes of distracting him. She didn't want to actually harm the wyvern, hoping that he would move out of the way lest he wanted to become nothing more than a solid piece of ice. It did not take long before the sounds of battle reached the little patch of forest where Alphonse had fled to. His ears perked, and he glanced over in the direction of the massive dragon. He saw signs of a battle, even through the trees. He heard screeching and clawing and violent roars of anger. Dang, that encounter had clearly evolved into a fight. As Alphonse was setting Ed down, aiming to help them, he heard Ed growl in protest. Al looked back at Ed with a shocked expression, "Brother, I have to go help them. That dragon is insane! He'll kill them!" he pleaded. Ed's eyes softened at his words. It was clear that his brother just didn't want him getting killed. But he had to remember. They had both fought Father, and chances were that maniac was stronger than this one. Sure, they didn't technically beat Father, but they had still held their own against him. So Ed didn't have to worry about that. Maybe it was just the fact that this was a fifty foot dragon they were talking about. Sure, Envy was big, but this made Envy look like a cat to this dragon's mouse. "Don't worry, I'll be fine. That thing can't take on two at a time." this didn't seem to reassure Ed, but he nodded, sighing. "Just be careful, and don't you dare die on me." he said, adding the last part as more of a joke. Ed had seen Al fight. And if that energy was in the body of a dragon, there was no way they couldn't win, especially with another fire dragon on his side. Then Alphonse took off, leaving Ed in the woods. However, he did not charge into battle. He slunk into the shadows. He would get behind the beast, then surprise him. He was getting closer, when suddenly, the perfect distraction arrived in the form of a blue fire. It would allow Alphonse to easily manouver around the dragon, and attack while he dealt with the fire. Whichever way he were to move to dodge it, or if he got hit, Al would use the time to get behind him. Once behind him, Al clapped his hands together, pressing them to the earth. A sudden spark of electricity, fusing with the white fire, so that it, too, seemed like it was just part of the flame. The earth seemed to move underneath them as he did this. Before Sicarius had known what hit him, a large, sharp, pointed rock shot out of the ground, aimed directly at his stomach. If he tried to dodge, the rock would turn into something to grasp him before taking off, tripping him, then another rock would pierce through his stomach. Al was also quick on his feet. If by some impossible feat the wyvern were to avoid that, he would have more rocks ready. He would clap his hands again while the wyvern was distracted and send a large rock wrapping around his body, pinning the beast to the ground. He did not want to kill him, he just wanted to neutralize him. With an explosion of flames, Aviur felt his body heat shooting to the top of it's limit and his mind become numb from the tremendous heat packed into his tiny body. Leaping into the air, Aviur rose over the flames that had turned blood red, and landed with a loud thud, gazing at the enemy with a new confidence in himself. His Inferno Form had been activated. His body now coated in crimson flames, Aviur resembled some kind of demon monster as he released an earth shattering roar, stretching his flaming wings to their maximum length, giving the illusion of larger size. You couldn't even see his scales, horns or anything now, he looked as if he were literally made of fire itself. Rising to his fullest height, Aviur didn't hesitate as he dashed straight for the wyvern, releasing a loud shriek of rage and new dominance. He would destroy this dragon. He didn't plan on killing him, exactly, he just planned on subduing him. And maybe giving him a good slap. Suddenly, he saw movement out of the corner of his eye. Turning his head, Aviur leapt into the air as a blue onslaught of flames came straight for the wyvern and, now, himself. The icy flames missed him by a whisker as he leapt over their path, aiming to land on the wyvern and cling to his body by just below the wing, basically where his neck connected to his shoulder. His body would cause bad burns on touch, and if held in place, well, let's just say the one word coming out of your mouth would be 'AHHHHHHHHHHHH!' and nothing else. Aviur planned on scraping down his body with his scorching claws and slamming into his wing repeatedly with his tail. That is, if he succeeded in finding grip. Sicarius felt as if the entire event was going in slow motion. A rocky spear protruded the ground, aiming for his stomach. The Firewing had pounced at him, now engulfed in flames. He had leapt sideways to avoid the blue fire. Sicarius's entire brain seemingly shut down, save for that one plan. Where flesh used to be, was now smoke. His entire form seemingly popped. The plethra of smoke all started rapidly moving to a decent sized sphere, about the size of his eye. The rock stopped, the Firewing missed, and Sicarius had saved the day!! The rest of the smoke formed a long tail, and it looked basically like a giant Snake without details. This smoke moved rapidly into the nearby tree line, disappearing into the shadows, followed by a soft thump roughly 20 seconds after Sicarius had disappeared into the smoke. Sicarius, now in his physical form once more, quickly dashed up a tree, completely concealed in the shadows, watching the aftermath. God damnit!! GOD DAMNIT!! I WILL RIP THEM APART!!!! THEY WILL SUFFER!! I WILL KILL THEM ALL!!!! Sicarius winced as pain rushed from his stomach, and yet, he found himself giggling madly. There was quite the hole directly in the center of it. Blood was rushing out at a decent rate, making a puddle on the ground below. This puddle was bright red, and was not hidden, giving away his perch in the trees. Because fate decided he wasn't done bleeding yet. Soulcry finally arrived to the scene just as Sicarius had left. He looked around at the dragons there and said, "I saw the flames rain down earlier, so I thought this was a friendly ordeal, what the hell is going on?" Soulcry seemed innocent with his transparent, glowing body in a friendly stance, and his foreye alert and aware. His flat, vertical tail coiled around his body as he sat.